(Natural News) According to the latest statistics from the U.S. Centers for Disease Control and Prevention (CDC), 66.3 percent of the United States population is currently being subjected to fluoride poisoning via public water supplies. But research published in Pharmacognosy Magazine has identified yet another natural solution. According to researchers from India’s Mohanlal Sukhadia University, curcumin, one of the primary active constituents in the turmeric spice, offers powerful benefits in terms of protecting the human brain against fluoride poisoning. In their paper entitled, “Curcumin attenuates neurotoxicity induced by fluoride: An in vivo evidence,” the team compared the brains of mice given non-fluoridated water to the brains of other mice given fluoridated water (120 parts per million), fluoridated water plus curcumin (120 ppm/30 milligrams per kilogram of body weight), or just curcumin (30 mg/kg body weight). The researchers looked specifically at fluoride-induced toxicity on the mice’s brains, including the chemical’s impact on lipid peroxidation, or rancidity, in brain tissue. They also evaluated markers of malondialdehyde, or MDA, a well-known marker of oxidative stress and oxidative damage, in the brains of mice from each test group. What they discovered is that fluoride greatly increased MDA levels in the fluoride group of mice, while MDA levels remained low in the non-fluoride control group. 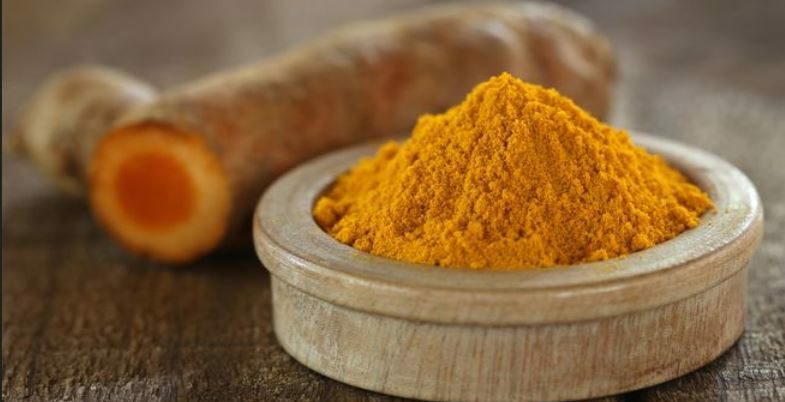 Mice given fluoride plus curcumin, however, saw noticeably reduced levels of MDA compared to the fluoride-only group, suggesting that curcumin exhibits pronounced neuroprotective benefits against fluoride and its associated neurotoxicity. “Fluoride (F) is probably the first inorganic ion which drew attention of the scientific world for its toxic effects and now the F toxicity through drinking water is well-recognized as a global problem,” the study explains. The overall takeaway from this study is multi-pronged. On the one hand, it serves as yet more undeniable evidence that fluoride chemicals have no place in drinking water, and are directly contributing to brain damage in humans, including lowered IQ levels in children. On the other hand, it shows that nature once again has solutions to this onslaught of chemical violence that don’t involve pharmaceutical drugs or surgery. If you live in a fluoridated area and don’t have a whole-house water filter or some other source of clean, fluoride-free water, then curcumin might be a viable solution for you and your family to help mitigate its damaging effects. We know from other research on curcumin that this healing component of turmeric is lipophilic in nature, meaning it has the ability to cross the blood-brain barrier and bind to plaques in the brain. This means that curcumin is uniquely suited to address the toxicity associated not only with fluoride, by also other harmful chemicals. All in all, supplementing with curcumin, or perhaps integrating generous portions of turmeric into your normal dietary regimen, can help to protect your brain against the chemical assault of fluoride. And the best part is that curcumin is completely safe and non-toxic – one of nature’s “perfect” medicines, so to speak. “Our study thus demonstrate[s] that daily single dose of 120 ppm F result in highly significant increases in the LPO [lipid peroxidation, i.e. brain rancidity] as well as neurodegenerative changes in neuron cell bodies of selected hippocampal regions,” the study concludes.